repress from 28 Feb 2019. Reissue has "soundsignature.net" printed on the front label. Wow... this record is absolutely wonderful. That voice layered in a pad on African Roots... tricky ! Night of The Sagitarius has a (early) Prescription feel, or is it just me ? African Roots: One of the best trax i ever heard. 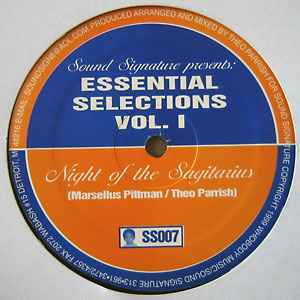 The strongest music: smooth & rich basslines, warm percussion , smart hats, theo's rhythm and 90's sounds.. superb combo. African roots is so deep, when the bass line kicks in its shivery spine time!